Personalize Salt Table Products for Corporate Gifting, Parties, Events, Fundraising or Wedding. FOR ORDERS OF 50 TO 5000 OR MORE. 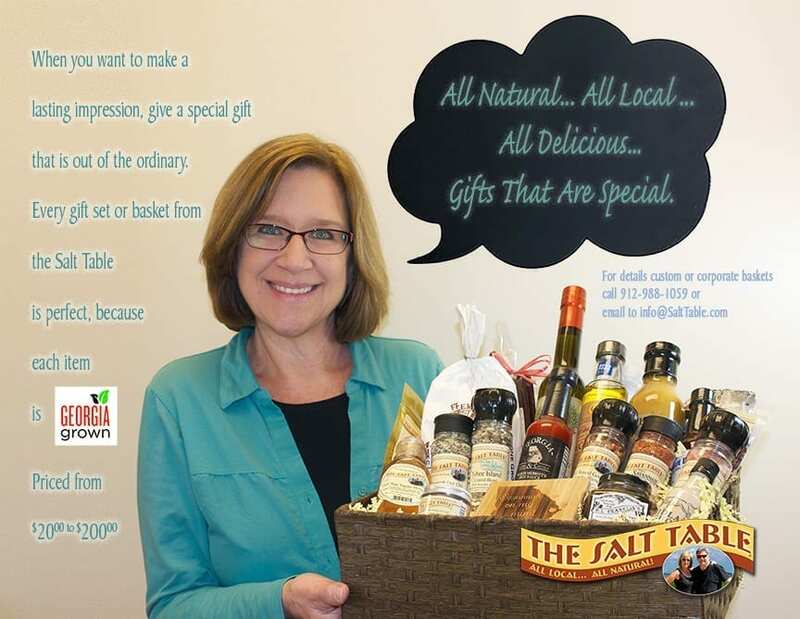 The Salt Table is very pleased to once again offer a great array of individual Salt Table products and Georgia Grown baskets that can be personalized for your organization, event or wedding… just like those above. The Salt Table, a specilaty food designer based in Savannah Georgia, is your source for promotional labeling of its top selling salts and spice blends and other Georgia Grown products. This promotional labeling program will allow your organization to “personalize” Salt Table products with your company name, logo and even the theme of your event. These products have long lasting value, so they make excellent and economical gifts and promotional items. Hundreds of Salt Table products to choose from … make it your theme! Want to add other special touches…no problem! Tells us what you want and we’ll try to work with your theme and budget… the possibilities are endless. Give us a call … we can help design the perfect label. Just a one time small design charge and the label printing is free … we even apply it for you. Want to add other special touches…no problem! For more information fill out the form below, or contact us at 912-988-1059. Items are generally shipped via USPS, but orders can also be picked up at either Salt Table location in Savannah or Pooler. Give some info to help us better serve you!